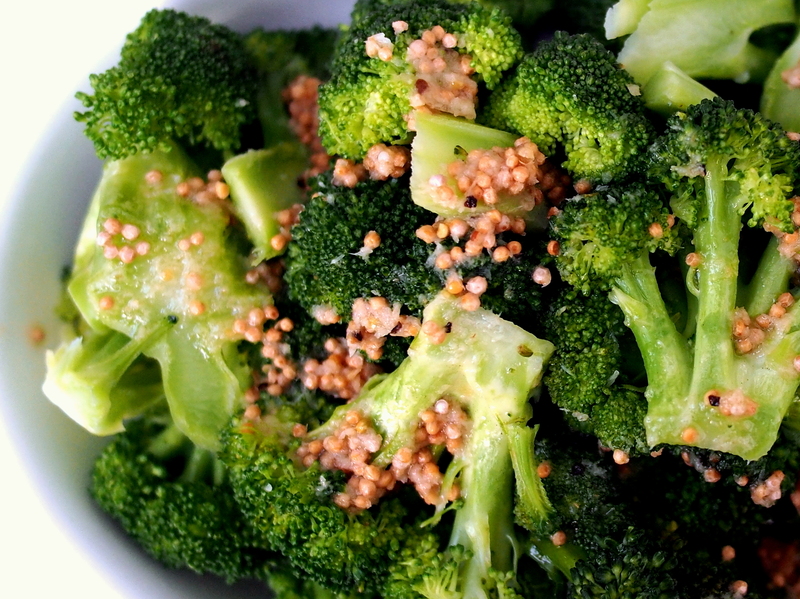 While broccoli is steaming, melt butter in a small saucepan over moderate heat. Stir in mustard seeds and cook, partially covered, swirling pan occasionally, until seeds just begin to pop and turn one shade darker, about 3 minutes. Stir in horseradish, lemon juice, salt and pepper. 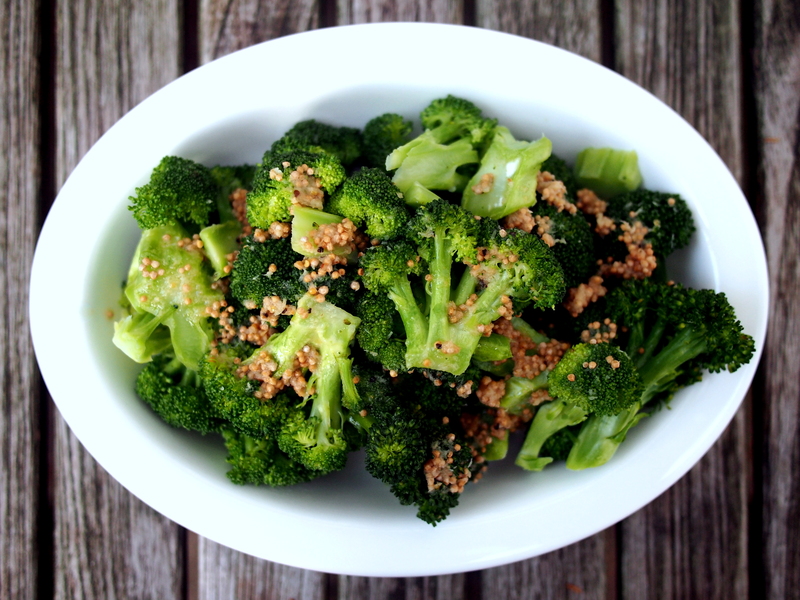 Turn steamed broccoli into a warmed serving dish and toss it with the butter mixture.